There are many platforms available that let you create websites without having a degree or background in programming or HTML. However, the mass majority of these But most of them don’t provide you with enough penetration to create the website as you really want. They have some pre-made custom shapes and designs and you can choose the ones which you like then tweak them here and there and that’s all. This is the reason why most serious website owners don’t go that way. They hire a designer first who designs the graphics of their website and then they hire a developer who converts that design into HTML code. However Webydo, the leading online professional website design platform is shaking up that old method. Webydo’s founders were a group of designers who were dissatisfied with this approach to web design. They routinely saw 70% of the money going to the developers for writing code and hence the designers were receiving a mere 30% of the profit. The group of designers decided to do something about it and that is when Webydo was born. Webydo is a professional website creator specifically designed for designers so that they can design and publish pixel perfect websites with this platform. 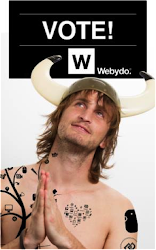 Using Webydo is like using a traditional photo editing software, like Photoshop for example. It is designed that way so that designers will feel at home during the entire design and management process. Now when a designer will design the graphics of a website, Webydo’s system will automatically generate an HTML code in the background for that design. Then when the design is finished Webydo will supply the necessary HTML code which can be submitted to the client. So you see this method eliminates the need of developers altogether from the picture. Webydo’s algorithm was designed by a group of skilled mathematicians and this algorithm replaces the developer. Designers have three paths to venture down for when they start their design process. You can begin from a completely blank canvas and let your designs run free and take over the white sheet. There is also the option to take inspiration from one of the readymade designs or take a basic layout and adjust them accordingly to fir your design criteria. 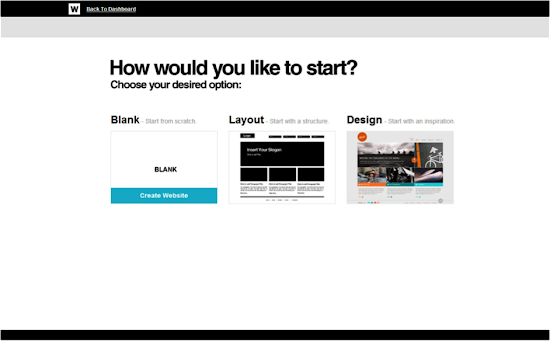 Webydo’s drag and drop feature lets designers create websites intuitively. You can use this drag and drop control to easily upload elements like shapes, pictures, text, videos, flash, etc. and move them around the canvas accordingly. You just need to drag and drop the element wherever you want it to appear and the rest will be taken care of by the system. The CMS (Content Management System) provides both you and the client with a user friendly management control panel. Using this CMS your client can change, delete, or update anything he likes on the website without your involvement. You also have the option to set site permissions and can lock certain design elements so that he may not delete or change anything accidentally and hence you can preserve artistic control. 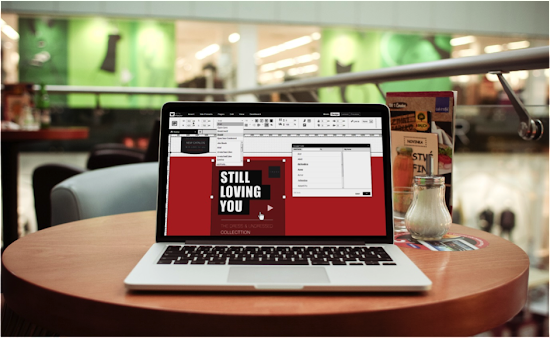 WYSIWYG stands for What You See Is What You Get and both pertains to the design canvas and the CMS features. Any design that you make on the canvas or any change that your client implements in the CMS will reflect exactly as they were done in the final version. Unlike many other website creator platforms, Webydo comes with a built in billing system. You can use this feature to generate receipts for the services you offered. This way you won’t have to depend on third party platforms for billing and this will save you the hassle of managing several accounts. Plus, there is the option to build your brand and in your or your clients logo right into the dashboard to provide a more professional working environment and feel. This white label option is unique to Webydo, and just another reason by this B2B design platform is leading the way for professionals to design a website. Webydo has a dedicated Participate page where the designer’s community can give feedback and interact with the Webydo team. They can also suggest new features that they would like to see added in Webydo and can also vote for the features suggested by other designers. The feature suggestion that receives the maximum number of votes is put into production and added to Webydo. This lives up to their motto - by designers, for designers. Go and take a look at Webydo, you can create a free site and publish on a Webydo subdomain, access all the professional features and create up to 15 pages. There is also the option to upgrade to a Premium plan and publish on a custom domain, enjoy unlimited bandwidth, 2GB of storage and unlimited page creation. Create a site, try it out and let me know what you think in the comments below. Really?? I want a site with unlimited products where I can pull data in from other sites to fill my product data and produce an on the fly live products feed with built in coupons so the discounted prices are shown so the users can see how much they will save if they click/follow the product.. All this will be produced using several feeds all mashed together on the fly and easily managed from a backend in case any product requires any adjustment. So how does your software do this?? Nice article Srinivas. It would be great tool for web designers. very nice concepts. Thank you. Hey, nice post and it's really amazing for web designers. really I've no idea about this, I must say it's informative. Thanks for sharing and keep blogging.